At Changes we use a "learn by doing" approach coupled with classroom participation in our cosmetology, skin care, apprentice instructor and nail technology programs that provide students with the knowledge and skills needed to be successful in the beauty industry. Our educational goals are to prepare students to pass the Kentucky Cosmetology State Board exams and be salon-ready upon graduation. We train daily in personal and professional development that leads to real success. Our emphasis on career building doesn't just produce highly-skilled stylists, skin care specialists, beauty educators and nail technicians, we produce entrepreneurs who are in control of their careers. This dedication can clearly be seen from modern facilities that look and feel like a real-world salon to instructors who are seasoned professionals with passion for teaching the profession. 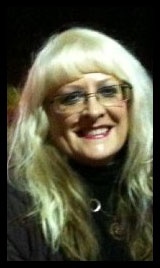 Pat has been a stylist and instructor for 30+ years and enjoys teaching all areas of cosmetology. Her kind, sweet, and generous nature endears her to all students.